The team has been hard at work this last week making the final preparations for the 2011 running of the Van Isle 360 -- the Van Isle 360 is a biennial, 580 nm. point to point race circumnavigating wild and rugged Vancouver Island, B.C. Sailed in ten legs the course provides inshore, offshore and overnight legs through some of the most stunning and challenging waters on the planet. Throughout the race we will be updating this website, our facebook page, plus the Anacortes Yacht Club website (www.anacortesyachtclub.com), so check back frequently. Also, the boat will be equipped with a transceiver so you can follow along the race at www.vanisle360.com. 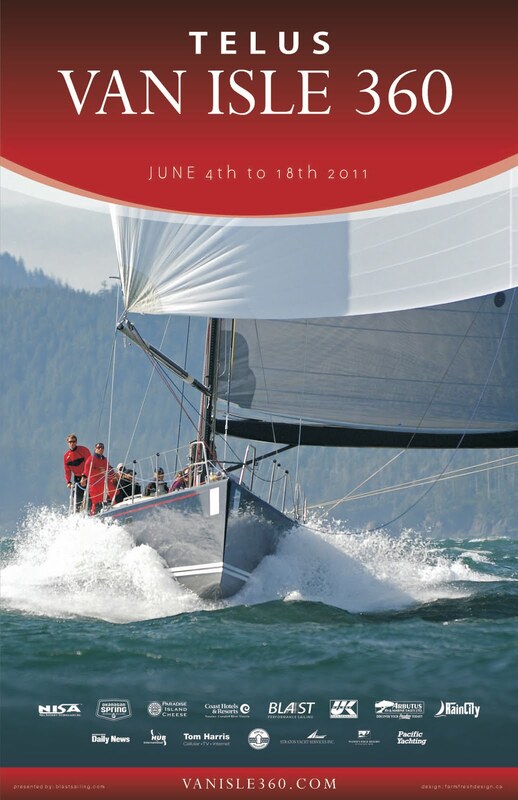 The race is from June 4th to 18th -- the boat will be leaving Anacortes for Naniamo Thursday evening June 2 and returning to Anacortes on Sunday June 19, 2011 -- stay tuned for updates!